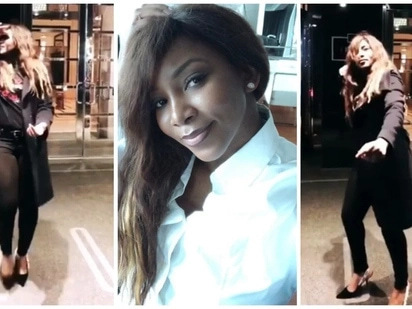 Actress, Genevieve Nnaji dances shaku shaku to Olamide’s Science Student. Shaku Shaku is the new viral dance in the industry, and the dance move is constantly seen everywhere on the internet space. The latest victim to the virus is Nolllywood’s finest, Genevieve Nnaji. The thespian posted a new video on her Instagram displaying her ‘TGIF’ mood to Olamide‘s ‘Science Student‘. The video, which has gone viral, generated several comments as many were amazed that she could kill the move. ← Previous Story Mayorkun VS Maleek Berry – Who Truly Deserves To Win The Next Rated Award?